in 7 HDC x 6 Rows = 2”x 2” for 5.5mm hook. 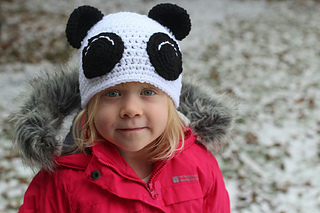 Panda hat comes in 3 different sizes for small, medium and large size heads. 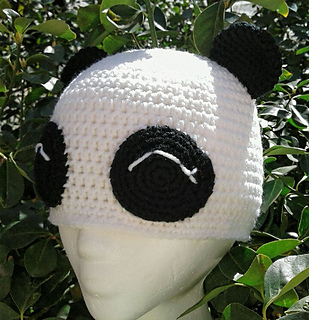 Works up fast and is fun to wear! 7 HDC x 6 Rows = 2”x 2” for 5.5mm hook. For hat portion. 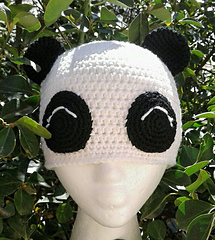 Additional pieces are crocheted with a 4.00mm hook.